Who doesn’t love going for a facial? For me, it’s the ultimate in pampering, and such a luxury whilst saving up that it’s a very rare treat indeed. It’s a way to reset the skin, yes, but also the mind - there’s nothing like switching off in the semi-darkness for an hour surrounded by aromatherapy oils and candles to rebalance your equilibrium. But, as I say, whilst I’m saving for my wedding, it’s something I hadn’t been able to justify treating myself to, although of course I’m very keen to make sure my skin looks its best for the big day. So, when an invitation popped into my inbox, asking me to come in and try one of the brand-new Irene Forte Facials at The Balmoral’s spa here in Edinburgh, I couldn’t RSVP quickly enough. Irene Forte, for the uninitiated, is the daughter of the founder of Rocco Forte Hotels, and also the group’s Wellness Director. In 2018, she launched her eponymous skincare line, using natural and sustainable ingredients to create ‘the Mediterranean diet for your skin’, containing ingredients such as olive oil, nuts, herbs and fruits grown in Sicily. It’s a range free of paraffins and parabens, focused on being kind to the skin and offering gentle and non-irritant ingredients. 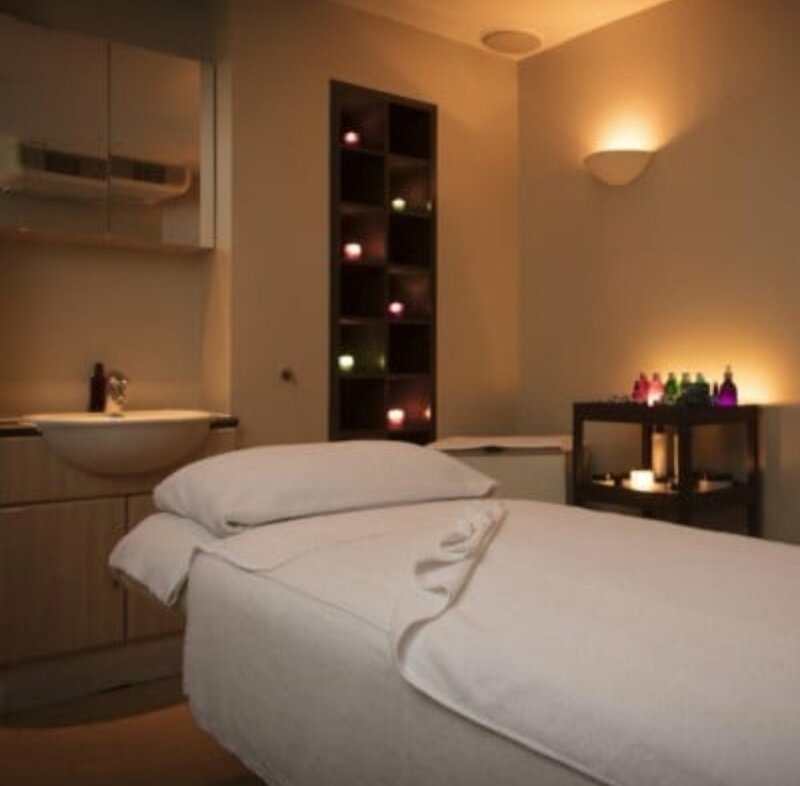 Alongside the skincare line, Irene also launched a menu of facials and treatments to complement the collection, exclusively available in Rocco Forte Hotels - so luckily one is just around the corner from me! I headed over to The Balmoral on a chilly Tuesday evening a few weeks back, harried from my commute and frozen to the bone, feeling anything but zen. But as soon as I got to the spa, the staff were so calm, speaking with those lovely soothing tones you always hope to hear from a therapist, and instantly put me at ease. After filling out my consultation form, where I highlighted any problem areas and concerns, I got changed into a warm, fluffy robe and was introduced to Lindsay, my therapist. Lindsay led me into the treatment room, which was warm, dimly lit by candles and filled with the scent of various aromatherapy oils. Lindsay went through my consultation form with me, discussing my requirements and analysing my skin, to ascertain which of the Forte Facials would work best for me. She decided on ‘The Hydrator’, which is targeted at dry or dehydrated skin, helping to nourish it and leave it silky smooth and hydrated. Thanks to the winter chill, I was certainly feeling pretty dehydrated and flat, and was excited to see the results. The facial started with the ringing of Sicilian bells, which was so tranquil, before a playlist of soothing Sicilian background music began. Lindsay then placed oils on her hands and held them over my face, encouraging me to breathe deeply and slowly to wind down, ready for the treatment. She then removed my makeup and cleansed my skin, using beautifully silky cleanser on cotton pads to massage away the day with ease. Skin cleansed, we moved on to light exfoliation, to get rid of the dry skin cells lingering on the surface and generally brighten my whole complexion. Unlike other facials I've had before, this was a very gentle exfoliation, more of a polish than a vigorous scrub, but certainly enough to brighten and smooth the texture of my skin. The exfoliation was finished with the application of hot cloths, which was just lovely and really felt like it was working with the other products to intensively buff and cleanse the skin. I have to admit that I started getting sleepy at this point - in a warm, dark room with candles and soothing music, what else are you going to do? But this is when Lindsey applied a hydrating face mask and really worked it into the skin, massaging it in and making sure it was being properly absorbed. Whilst the mask was working its magic, Lindsey gave me a very effective neck and shoulder massage. During my consultation, she'd asked where I carried my stress - always in the jaw, neck and shoulders is the answer. So she massaged the tension out of my problem areas, and I could literally feel knots being unravelled as she went along. I always feel several inches taller after a massage, like it straightens me out, and I could feel myself stretching - it was lovely and such a well-balanced addition to the facial. Mask and massage over, the final step of rehydration commenced, with Lindsay spending a long time applying a nourishing Irene Forte facial oil and working it into the skin. I had also explained to Lindsay that my face tends to be a little puffy in the morning, so she spent a long time on lymphatic drainage techniques, to eradicate any excess water and limit puffiness - not the most comfortable part of the treatment but you don't mind at all when you can really feel something working! I was so relaxed by this time, I don't really know whether I was awake or asleep at this point but I remember that lovely weightless feeling of knowing it doesn't really matter. It's the level of relaxation I only seem able to achieve in a spa setting, where you can completely switch off and feel totally safe and comfortable. With the treatment over, Lindsay left me for a few minutes to bring myself back around and wake up a little, then she came back into the room to chat through the treatment with me and recommend some key products from the Irene Forte range to try at home. The treatment took 60 minutes in total, with extra time before and after for the consultations, and it was the ideal length of time - it didn't feel rushed, just languid and luxurious. When I got home, I could really see the difference in my skin compared to earlier in the day; I looked very glowy and fresh, where previously my complexion had been a little flat and dull. And the next morning, there was no puffiness at all - a first for a very long time! The effects of the lymphatic drainage actually lasted for several days, which was a very nice surprise - my face looked more structured, cheekbones higher and eyes less tired, particularly in the mornings. The hydrating products Lindsay chose to use from the Irene Forte range really helped to bring hydration and radiance back to a dull, winter-worn complexion and I felt like makeup sat better too - it made such a lovely difference to my skin at the time of year when it's usually feeling its worst. It's definitely something I'm going to look at trialling again in the lead up to my wedding, to try and maintain a naturally healthy and hydrated radiance! The Irene Forte Hydrator Facial is priced at £90 for 60 minutes and in Scotland, is exclusively available at The Balmoral. You can find out more about this treatment and the others available here. Huge thanks to the team at The Balmoral for inviting me in for this lovely treatment, and for Lindsey for doing it so well! My facial was free of charge in exchange for review, however these opinions are entirely my own. I was not compensated for this review.